Tonight; Saudi Arabia; 747 New Wave; 9520. 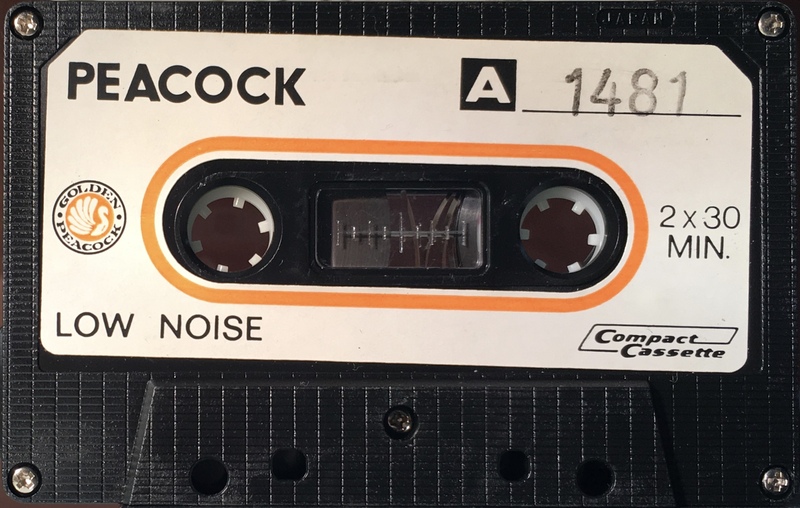 Full album on 747’s ‘747 New Wave’ series, a number of unrelated tracks have been added. 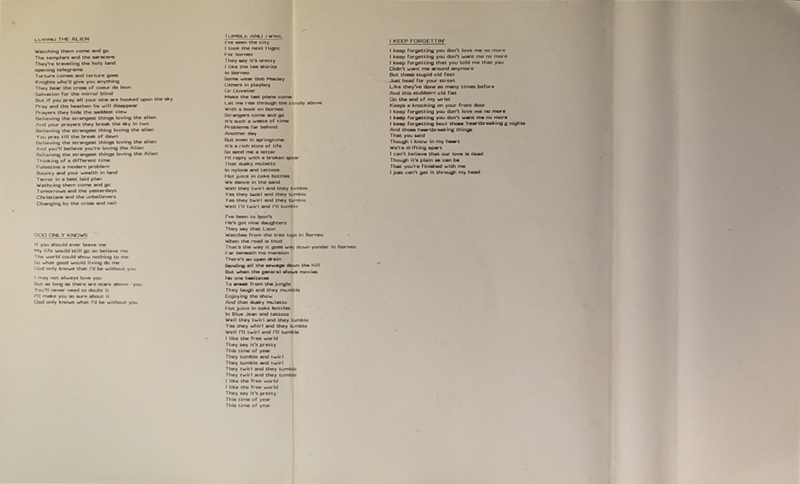 The word ‘God’ is omitted from the track ‘God Only Knows’ probably for religious purposes. 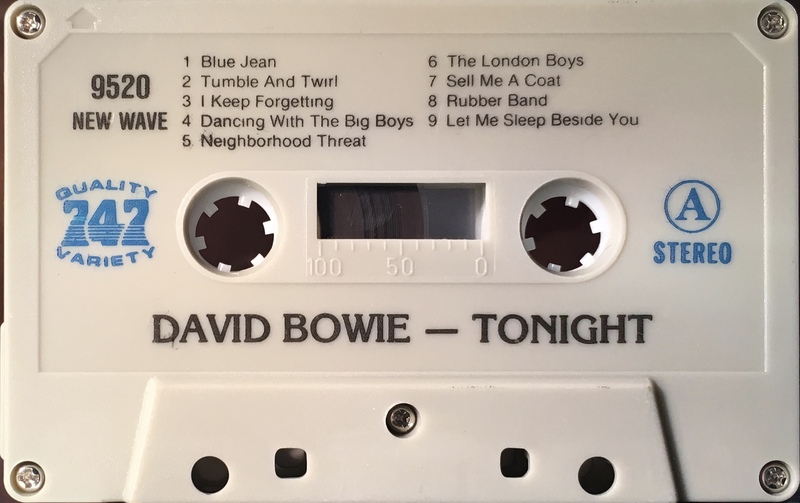 Side 1: Blue Jean; Tumble And Twirl; I Keep Forgetting; Dancing With The Big Boys; Neighbourhood Threat; The London Boys; Sell Me A Coat; Rubber Band; Let Me Sleep Beside You. 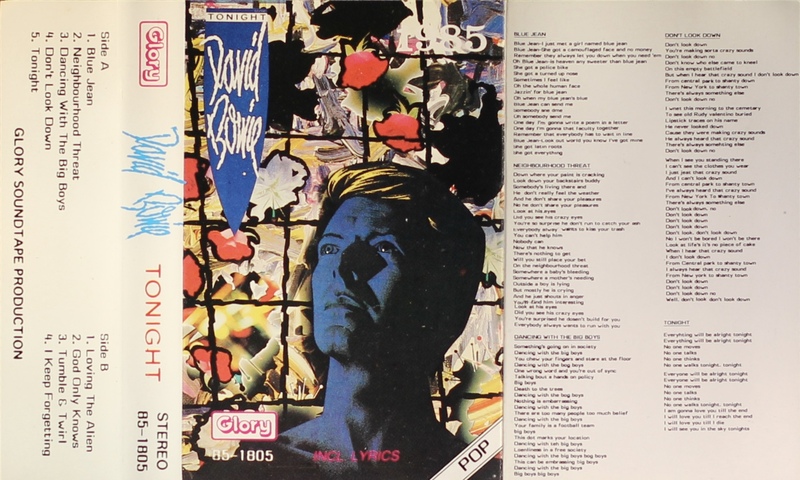 Side 2: Changes; 1984; Young Americans; Loving The Alien’ Don’t Look Down; God Only Knows; Tonight. Full album; a number of tracks have been rearranged. Black ink printed on white paper label directly to black shell. 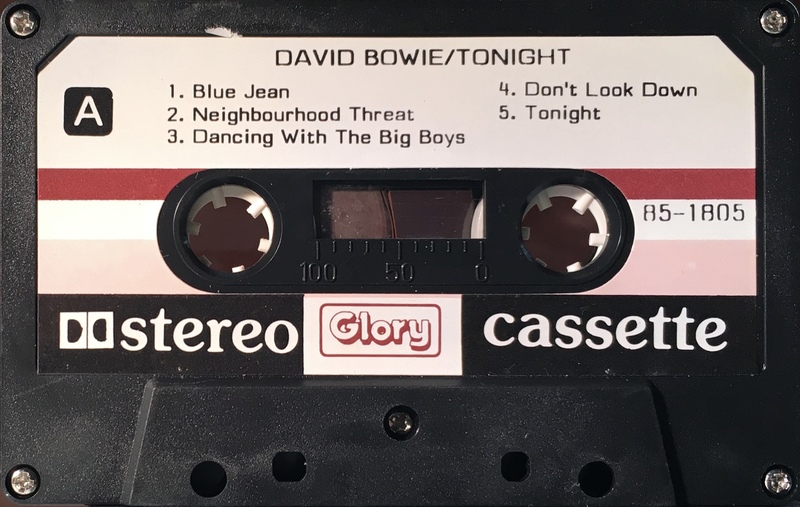 Side 1: Blue Jean; Neighbourhood Threat; Dancing With The Big Boys; Don’t Look Down; Tonight. 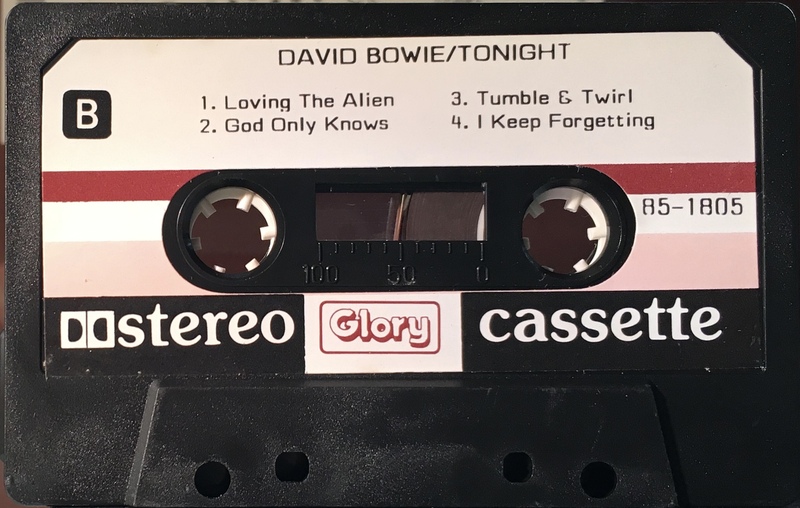 Side 2: Loving The Alien; God Only Knows; Tumble And Twirl; I Keep Forgetting. Tonight; Thailand; Golden Peacock, 1481. 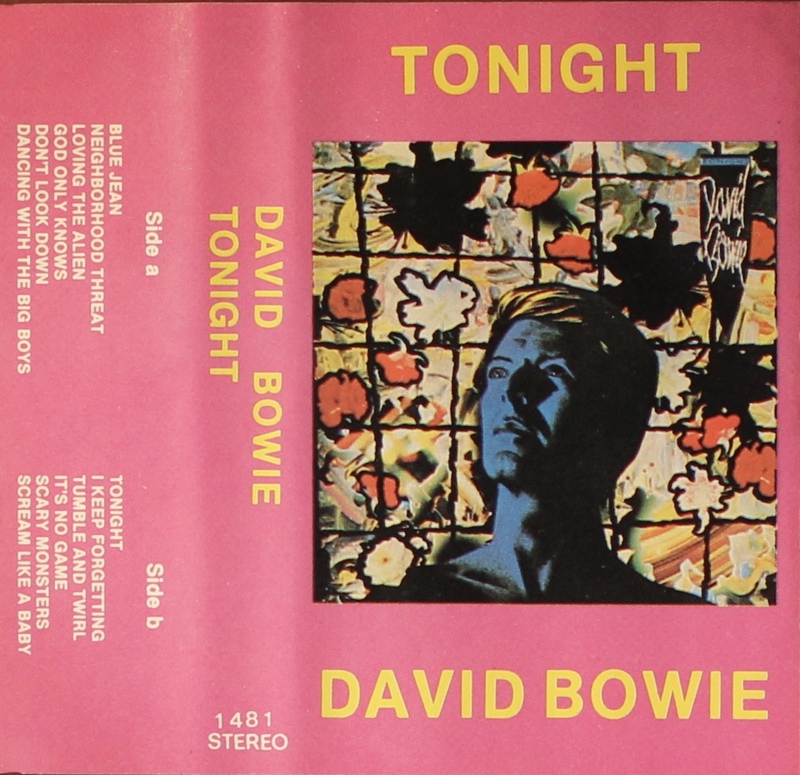 ‘Tonight’ plus tracks from ‘Scary Monsters’. 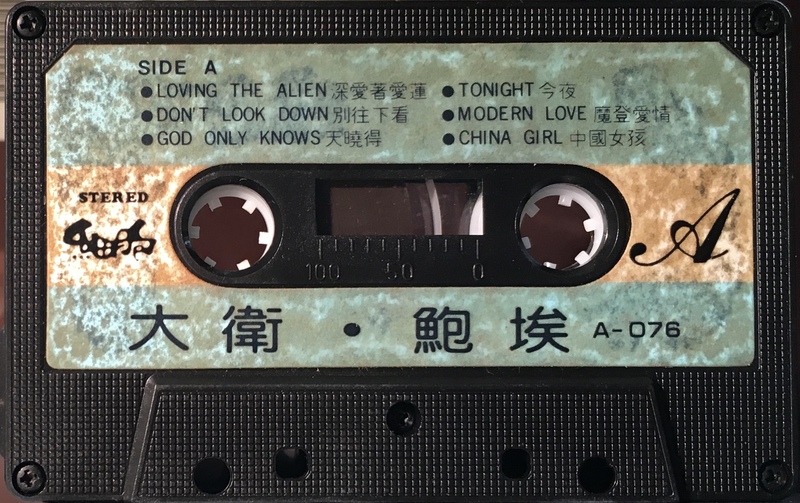 Side 1: Blue Jean; Neighbourhood Threat; Loving The Alien; God Only Knows; Don’t Look Down; Dancing With The Big Boys. 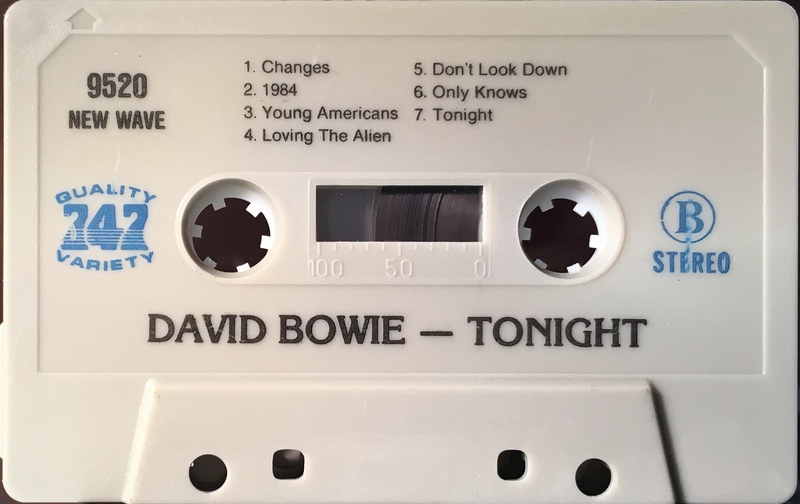 Side 2: Tonight; I Keep Forgetting; Tumble And Twirl; It’s No Game; Scary Monsters (and super creeps); Scream Like A Baby. Tonight; unknown country; unknown label; A-076. 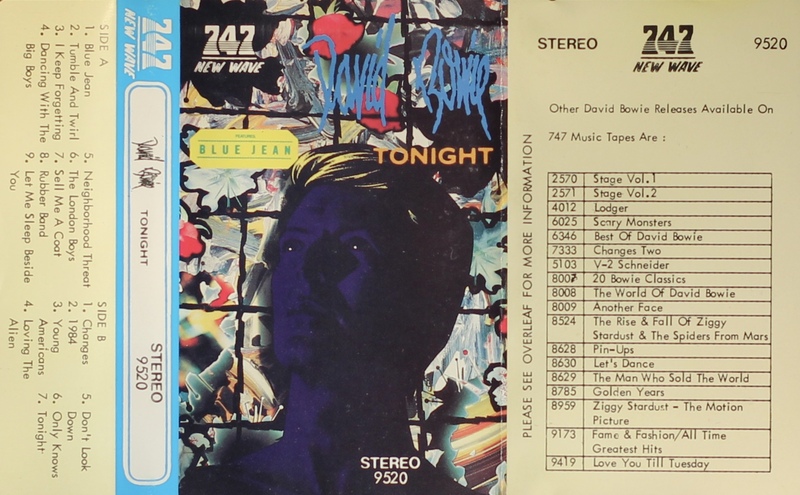 Full album on 747’s ‘747 New Wave’ series, a number of unrelated tracks have been added. White and green label on black shell. 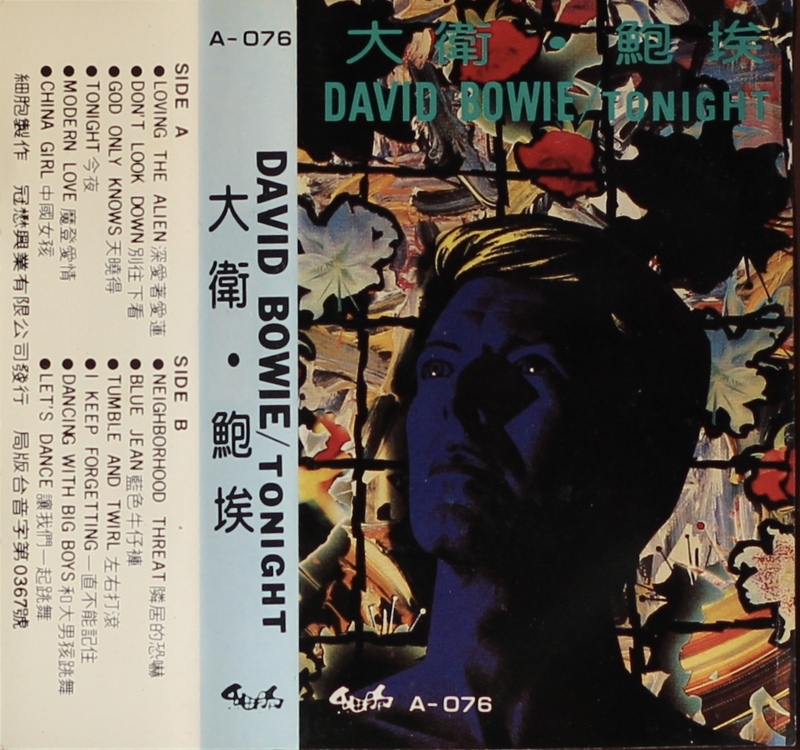 Side 1: Loving The Alien; Don’t Look Down; God Only Knows; Tonight; Modern Love; China Girl; Without You. 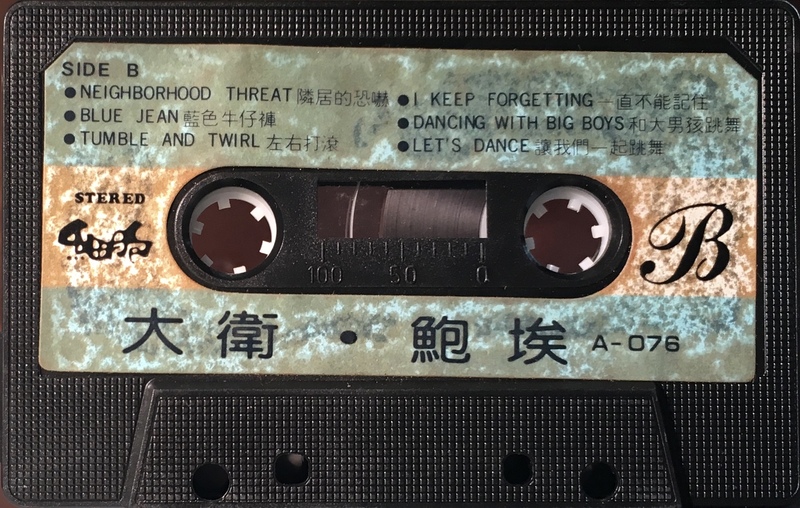 Side 2: Neighbourhood Threat; Blue Jean; Tumble And Twirl; I Keep Forgetting; Dancing With The Big Boys; Let’s Dance.